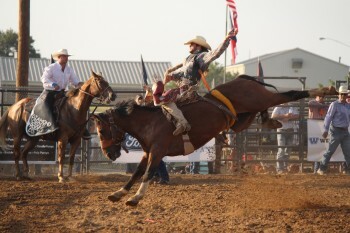 For the 5th year, the Rodeo is coming back to Lockhart and Caldwell County with the help of Diamond Cross Rodeos. 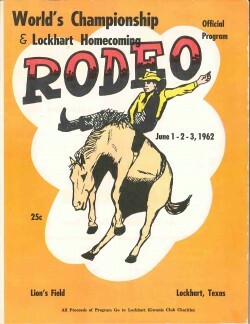 The Rodeo will be held at the Lockhart City Park in conjunction with the 46th Annual Chisholm Trail Roundup. The entire show will also be displayed on a 12' x 15' LED Replay Screen provided by Wild Ride Productions. To sign-up as a contestant, go to Cowboy Sports News for details. Your child must be between 4 and 8 years old (by June 8, 2018) and less than 60 pounds in weight. The entry is $25 per child, with a limit of 20 sign ups each night on Friday and Saturday. Because of the popularity of the Mutton Bustin event, children may only register for ONE of the two nights, Friday OR Saturday. Thank you for your understanding. ALL KIDS SIGNED UP FOR MUTTON BUSTIN' ARE INVITED TO RIDE THE RODEO FLOAT IN THE GRAND PARADE ON SATURDAY! Click here to download the release form. Please note that your spot is not reserved until both the form and payment are received. Saturday, June 9 - Slack begins at approximately 11 a.m. 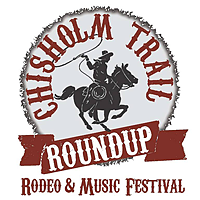 Platinum Sponsor - Schmidt Ranch, Pegasus Schools, Inc.
Rodeo Dealership Sponsor - Lockhart Motor Co.
Silver Sponsor - Clear Creek Inc.
Mutton Bustin - Clear Creek, Inc.
We invite you to participate as a sponsor for the Chisholm Trail Roundup Rodeo in 2018! This is a great opportunity for you to showcase your business, organization or service to the community in a fun and exciting way. Please review the menu of sponsor and vendor options below. We look forward to working with you on this great event! Exclusive Dealer Sponsor - Lockhart Motor Co.